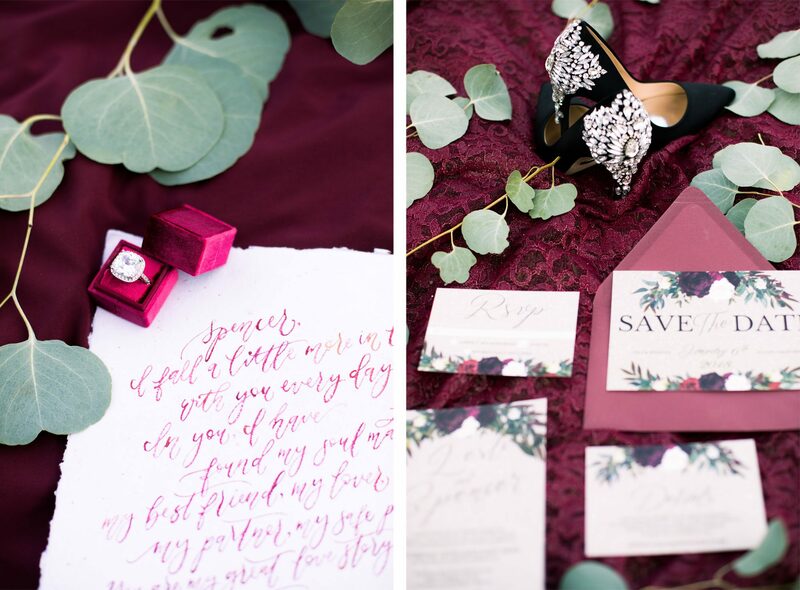 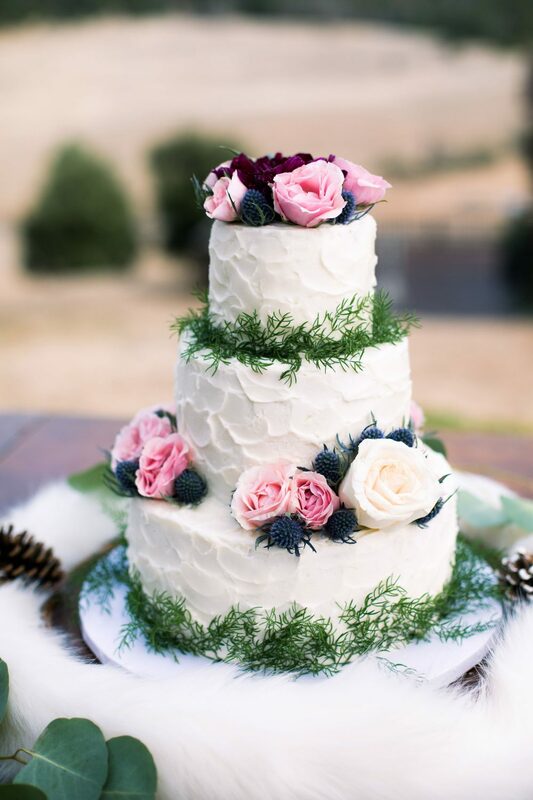 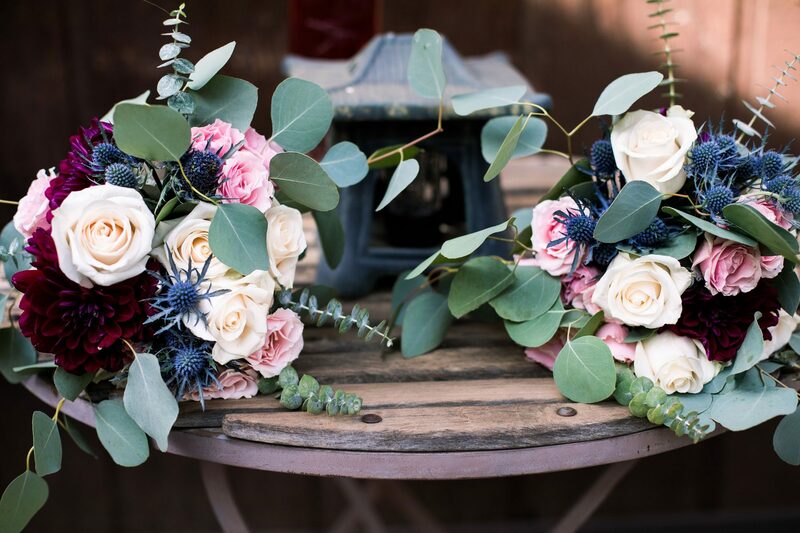 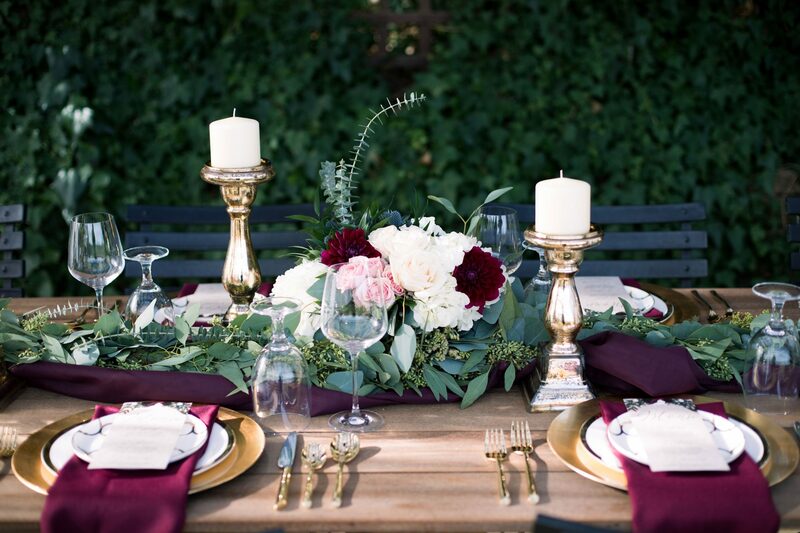 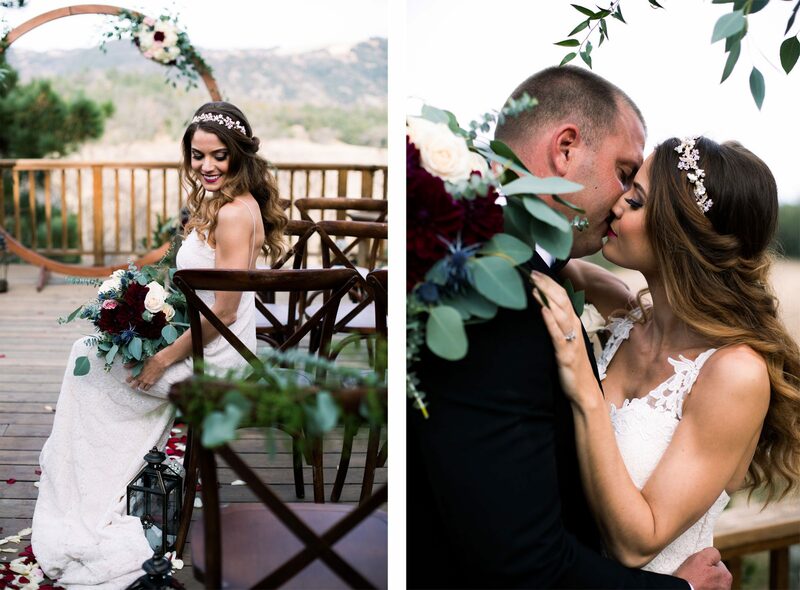 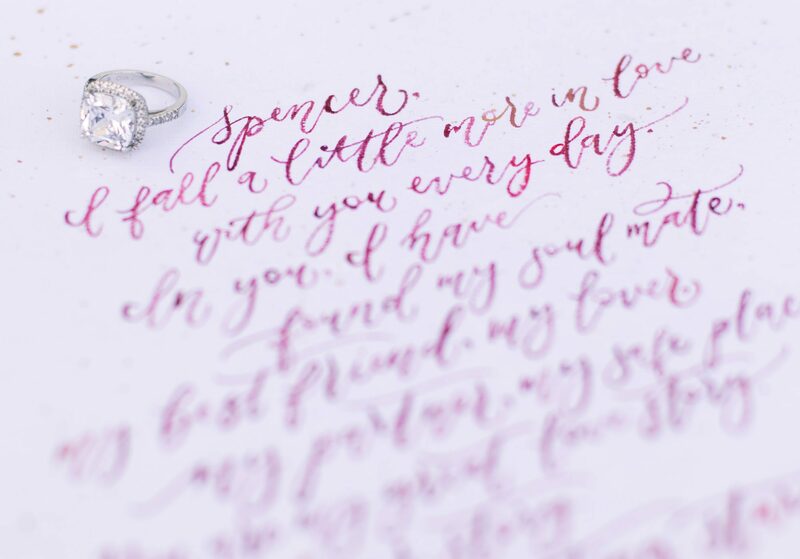 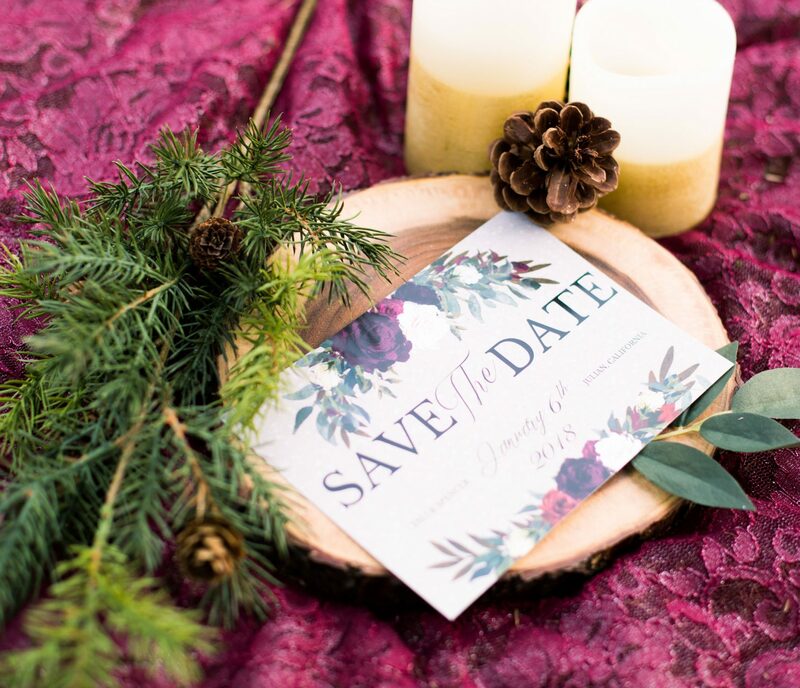 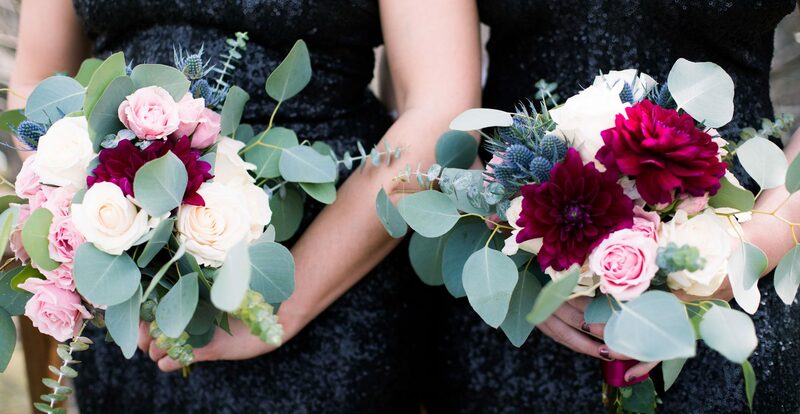 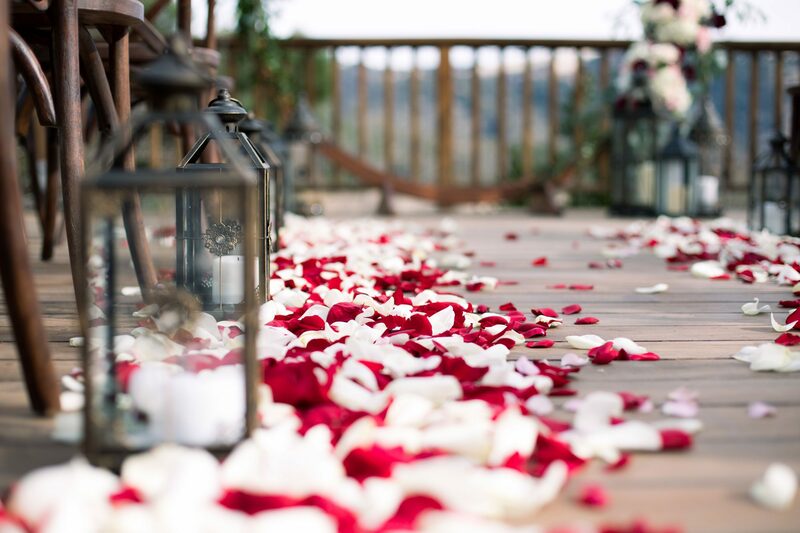 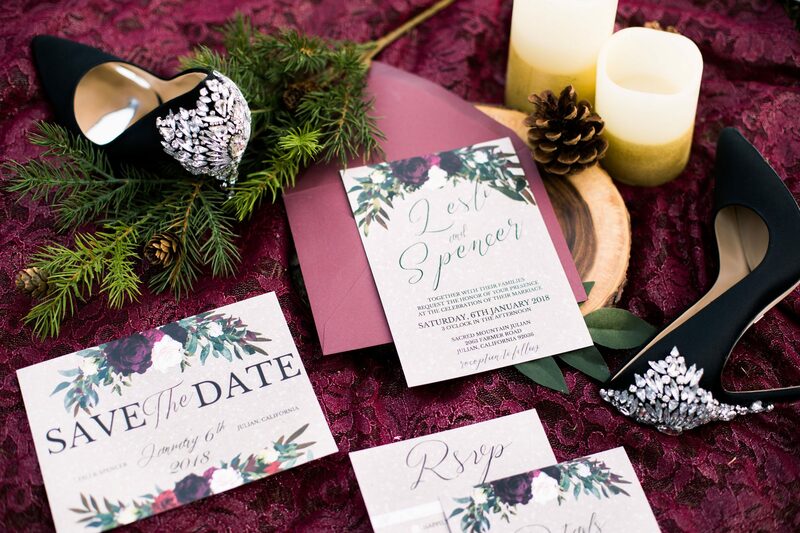 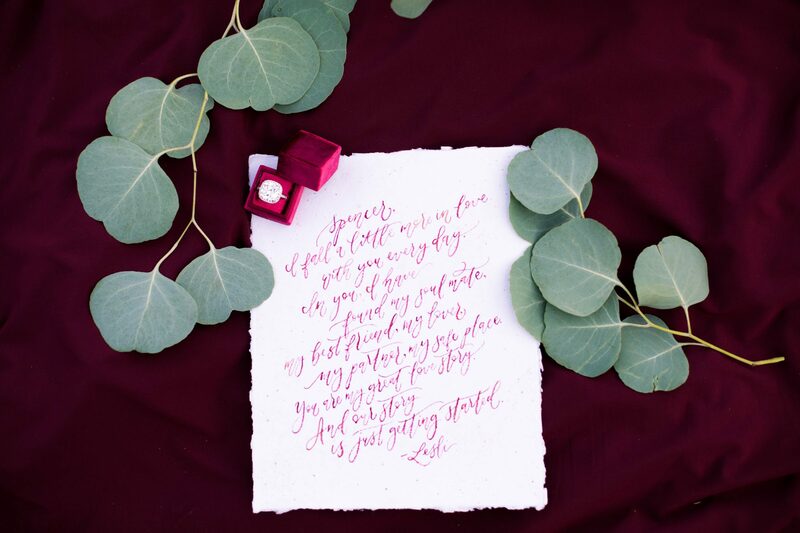 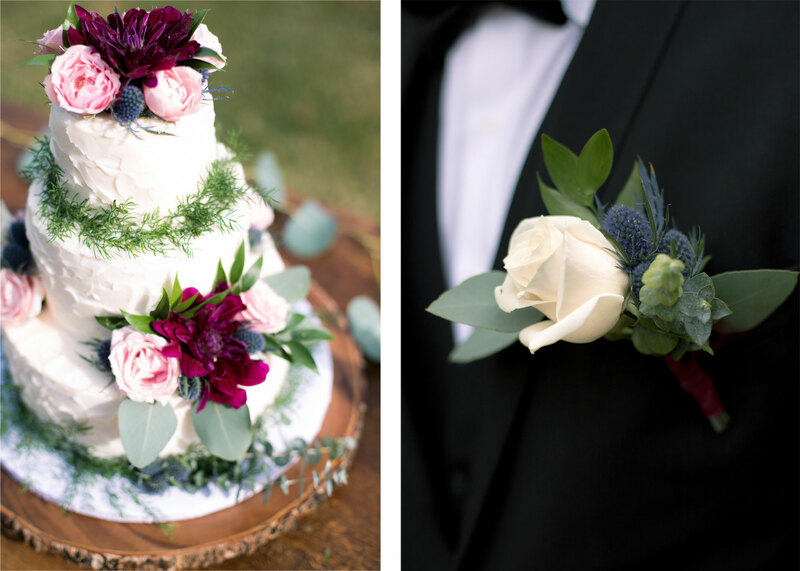 Drenched in rich tones of burgundy and gold, this styled shoot took place in the mountains of Southern California in the cozy little country town of Julian. 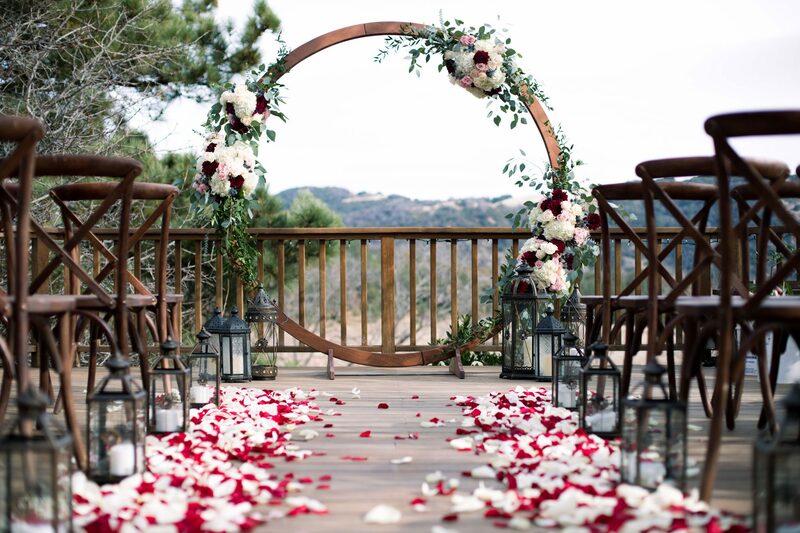 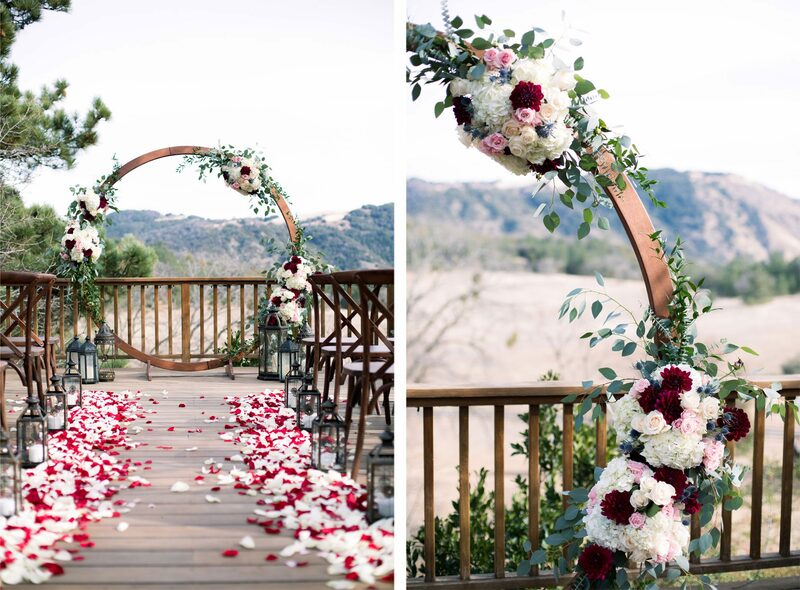 The wooden circle arch adorned in florals creates a focal point for the vast views of mountains and fields. 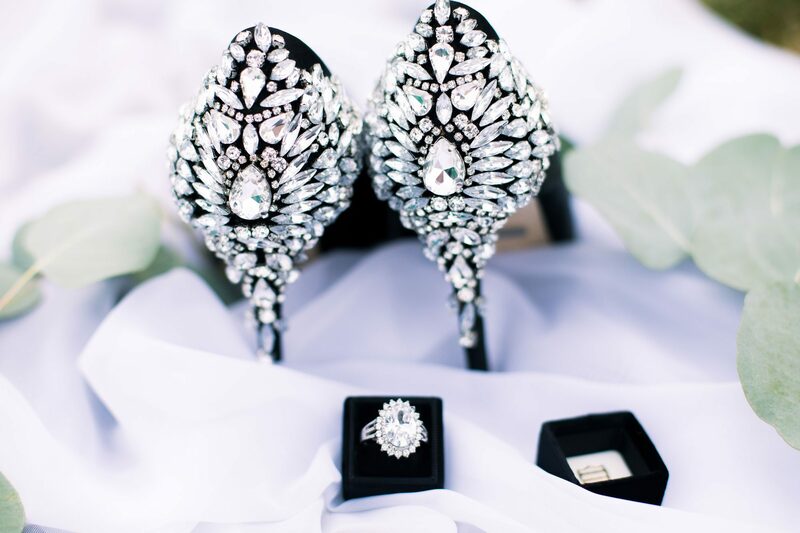 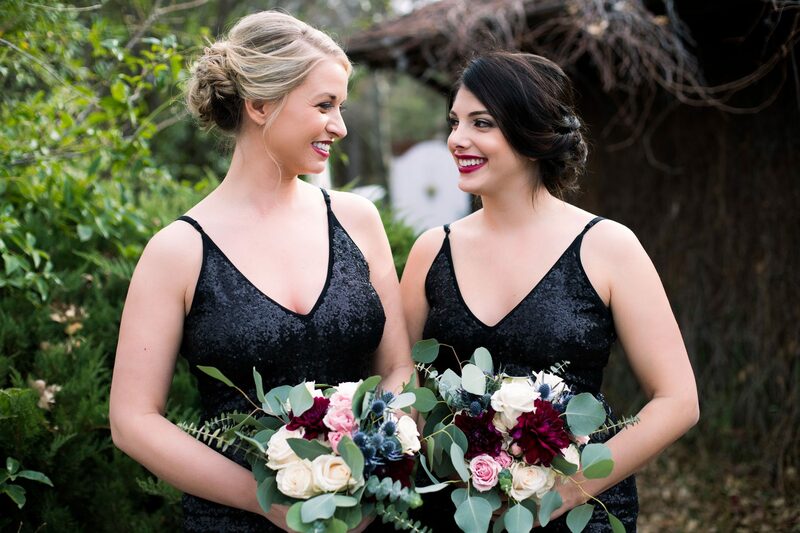 The sequin black bridesmaid dresses combined with the Badgley Mischka heels dripping in jewels adds a touch of luxe. 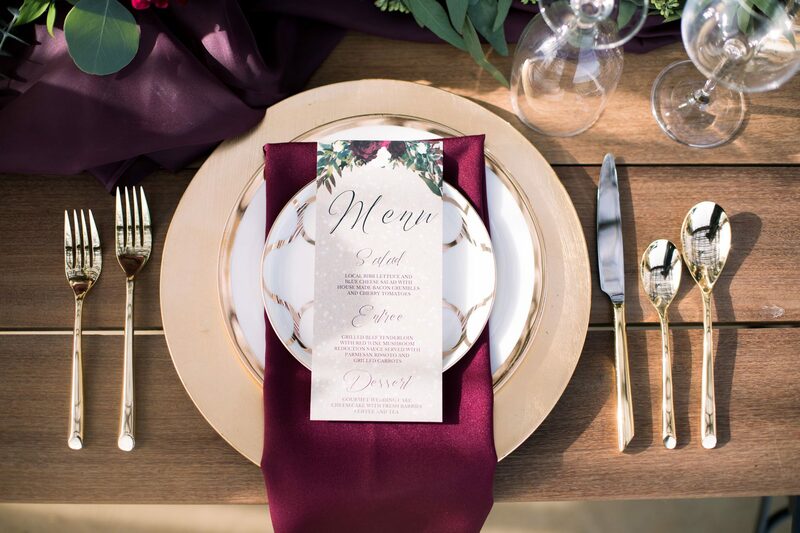 The tablescape accented with gold and burgundy highlights the rich color palette and ties in the florals from the ceremony. 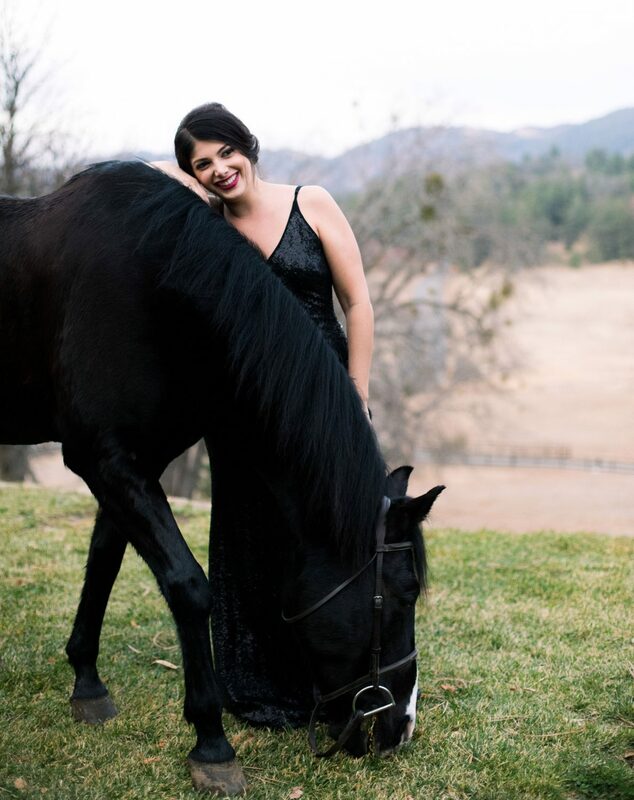 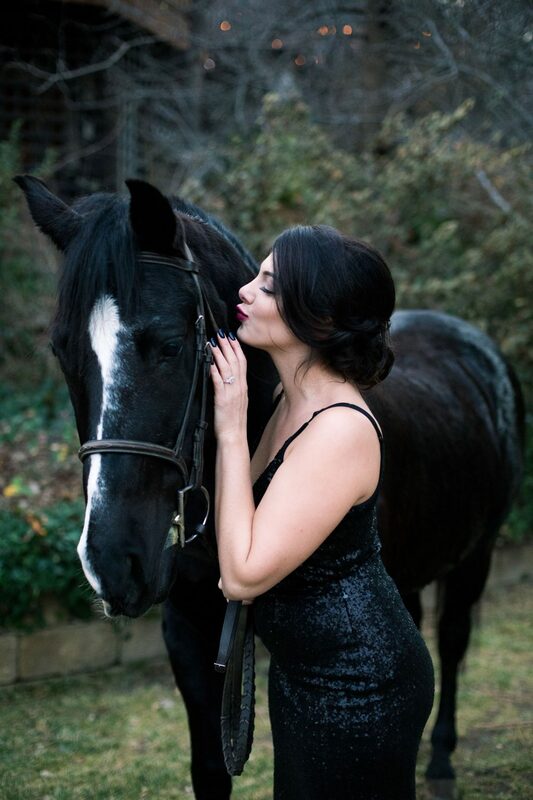 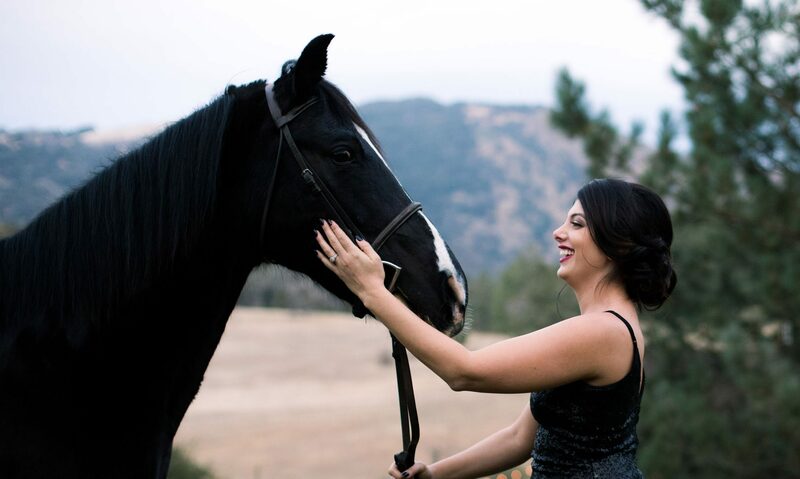 The gorgeous black horses are the perfect adornments for a wedding in the mountains.